Nicholas Betts was a student of the Guildhall School of Music and Drama (GSMD), receiving a scholarship to attend the junior department before progressing to full time study. During his first year as a senior he was appointed Principal Trumpet of the Young Musicians Symphony Orchestra (with which he performed the Paul Patterson Trumpet Concerto) and later, of the European Community Youth Orchestra (where he performed Bach’s Brandenburg Concerto no. 2). In 1989 he won the Barry Kerry and Leonard Rice Memorial Prize for Trumpet and the Philip Jones Prize for Brass. After graduating from GSMD, Nicholas began a diverse freelance career which combined working in television, film, and playing for the London orchestras. In 1995 he left London to take up an invitation to become Principal Trumpet with the Bergen Philharmonic Orchestra in Norway. He returned in 1997 to take up the position of Principal Trumpet with the City of London Sinfonia (CLS) a position he still holds. In 2002 Nicholas joined the London Philharmonic Orchestra (LPO) as Co-Principal and remained there until 2016 when he was appointed Principal Trumpet of the Orchestra of the Royal Opera House, Covent Garden. He performs regularly as a soloist, and in recent years has performed the Haydn, Hummel, Vivaldi and Telemann trumpet concertos. In 2007 CLS commissioned Dan Jenkins to write a Trumpet Concerto especially for Nicholas of which he gave the world premier in 2008. He has also recorded the Haydn Trumpet Concerto and the Vivaldi Double Trumpet Concerto with CLS. 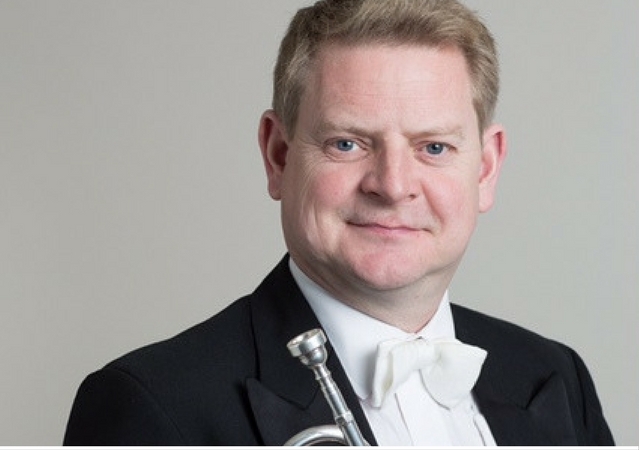 Nicholas is professor of trumpet at the Guildhall School of Music and Drama and at the Royal College of Music.